We have put forward a number of initiatives to ensure gender balance and promote the involvement of women in crystallography at all stages of their career, based on “Ten Simple Rules to Achieve Conference Speaker Gender Balance” [Martin JL (2014) PLoS Comput Biol 10(11), e1003903. https://doi.org/10.1371/journal.pcbi.1003903 ]. 1. A person in charge of gender balance (gender balance advisor) has been appointed to analyze and develop policies that ensure a fair gender balance. 2. We have developed statistics on women attending crystallography meetings (see below) to a) set gender balance aims b) analyze evolution of the community. 3. Based on the statistics, we have developed a speaker policy (see below), setting up the statistical minimum to be looked for by chairs in their session organization. This policy will be provided to all chairs. Of course, the statistics are an average among different fields. Hence, in cases where the chairs are not able to follow the stated balance, they should provide the organizing committee with a report of names considered that explains the <30%. 4. We have developed a family friendly conference. Accompanying attendees for people with children and children will be issued at no extra cost. Moreover, onsite childcare service & activities, nursing & kids room, tours for families and a family welcome reception will be organized. Children will be allowed in sessions. 5. 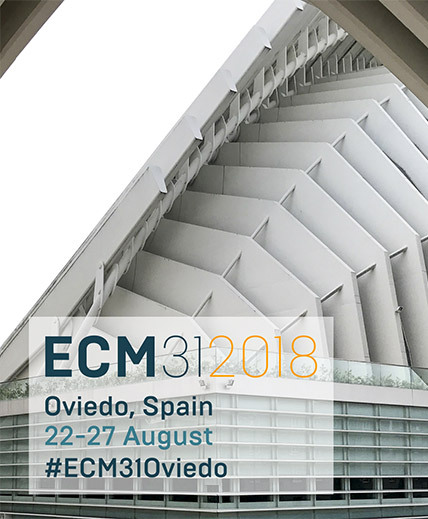 A special entry on the ECM31 webpage will be devoted to the organization issues related to gender balance. The speaker policy will also be made public via de website. 6. In order to provide visibility to these and other initiatives for Women in in Crystallography, the general microsymposium “Women in Crystallography” has been organized. This microsymposium will not be focused on science, but rather on the problems, biases and possibles solutions for Women in Science in a format similar to the Power Hour promoted by GRC conferences. b) attendees who are bringing their family, helping with their travel & lodging expenses. 8. After the conference, these initiatives will be critically analyzed and a report will be provided to the organizing committee in order to analyze the outcome and possible ways of improving the initiatives. 9. ECM31 will be a first test for all these ideas, improved with the feedback from point 8, we will try to make them survive for future ECM and IUCr meetings. Unconscious bias have proven to be a heavy weight we all carry with us and which will slow achieving gender balance, since above all, it affects everybody, independently of gender, education, etc. Hence, we have put forward a suggestion of rules to avoid this bias by a basic observation of the ECM community. It consists on analyzing the composition of the community in order to deliver unbiased ratios that should be respected. Hence, we propose to establish the 30% ratio as a bare minimum to be respected. This ratio should also be looked for in the plenaries (though with more flexibility, given the fact that the sample is smaller) and chairs. MS (5 people): At least 2 should be women. Given that not all fields have the same representation, those finding the ratio difficult to respect, should write a report of names considered and send it to the organizing committee for approval. Of course these are guidelines to help fight gender bias, but a big effort is needed to break and accelerate the societal changes that give rise to unconscious biases: this numbers should be the bare minimum to respect. A microsymposium will be organized dealing on women issues in crystallography and gender bias. This microsymposium can collect experience from women crystallographers, gender bias, etc. Since a fair representation will be assured by statistics, this will be a session devoted to raising awareness within both the women and men communities, rather than to crystallography itself. We are aware that the above ratios are based on a one-time statistic which is subject to fluctuation. Thus, we propose that the statistic is expanded in time.